Policy and disruption continue to stay top of mind as a strong economic outlook breeds optimism. While the last two years seem to be defined by looming threats of major legislative changes, you don’t have to be Nostradamus to predict that 2019 will likely see a policy vacuum in Washington, considering the intense discord between the president and a divided Congress. Even if a compromise is reached on border security and immigration, I think it’s highly unlikely that health care will rise to the top of the legislative agenda. There has been a significant rhetorical push from liberal Democrats to bring "Medicare for All" legislation to the floors of the House and Senate, but I don't expect any tangible action in this arena. Direction for major health care legislation usually comes from the White House, but with no coherent message on policy aims, I don't expect any groundbreaking legislation in 2019. While Congressional leaders from both parties would deny it, it’s clear that Republicans and Democrats are digging in for a political dogfight that will preclude substantive policy discussions of any kind — a sad state of affairs, indeed. As the national deficit continues to balloon, I think it’s only a matter of time before there will be renewed debates over reigning in entitlements, including Medicare and Medicaid spending. Any further reimbursement cuts from government payers would be problematic for all providers and catastrophic for many distressed hospitals that are already operating in the red. While Washington may be deadlocked for much of the year, I suspect most of the legislative action may occur in state capitals across the country. Debates have raged at legislatures across the country over issues such as Medicaid expansion and nurse/patient staffing ratios. 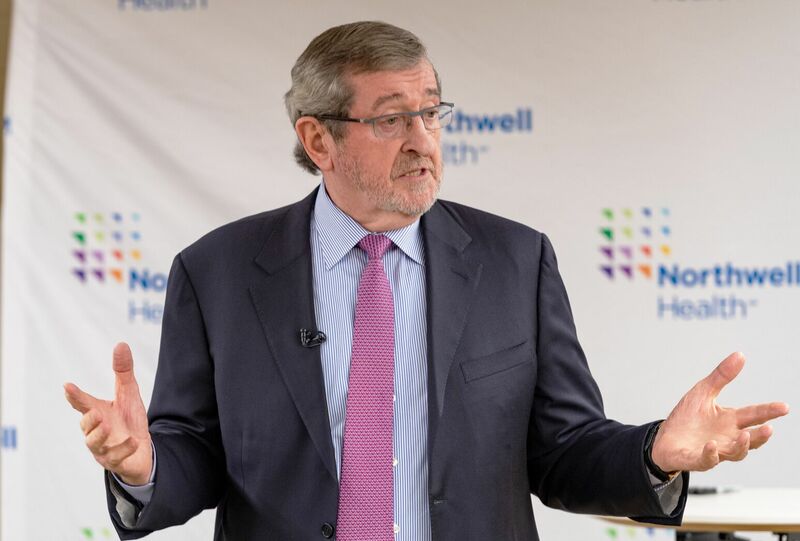 Health Story podcast: Delving deeper into "Health Care Reboot"
Northwell President and CEO Michael Dowling discusses a greater quality, safety, access and affordability for health care in his new book. Some observers characterize 2018 as the year of disruption, given the multiple instances of consolidation and new entrants into the health care space. It’s fascinating that many of the same companies that criticize healthcare as being dysfunctional and too costly want a piece of the pie. That was evident January 7-10 when thousands of people representing hundreds of businesses descended on San Francisco for the J.P. Morgan Healthcare Conference. As we all know, health care is a huge economic driver, representing 18 percent of the nation’s gross domestic product. Healthcare is the largest job source in the US, surpassing manufacturing and retail, and that job growth is expected to increase 20 percent over the next decade. In fact, half of the 30 fastest-growing occupations are health care related, including four of the top six. Yet, it’s telling that the disruptors entering the health care market have conveniently shied away from the most difficult challenges that providers grapple with on a daily basis: caring for the elderly with co-morbidities, treating those with chronic disease and addressing health disparities. Caring for relatively healthy and wealthy populations in ambulatory settings is not that complicated. The disruptors are certainly not taking a deep dive into long-term care or any of the other areas that make up the bulk of spending in our industry. As we move into the new year, it is vital for health care leaders to stay focused and maintain a sense of what I call "positive discomfort." There are a lot of trends that may frighten leaders, but these outside forces will only help us achieve our ultimate goal of providing the best possible care. We’ve been down this road before, with politicians, bureaucrats, academics and other outsiders who have rarely set foot in a hospital or health facility claiming that they have the solutions to fixing what they perceive as a broken system. The reality is that providers have been adapting and innovating for years, whether it's transforming the model of care, expanding ambulatory facilities, supporting technological advancements in telemedicine and artificial intelligence, or promoting customer engagement. Most importantly, we continue to improve quality and patient outcomes, and I’m optimistic that we will continue that progress in 2019. These are extraordinarily positive trends, and as long as we stay focused, we’ll continue to build on a long history of success. 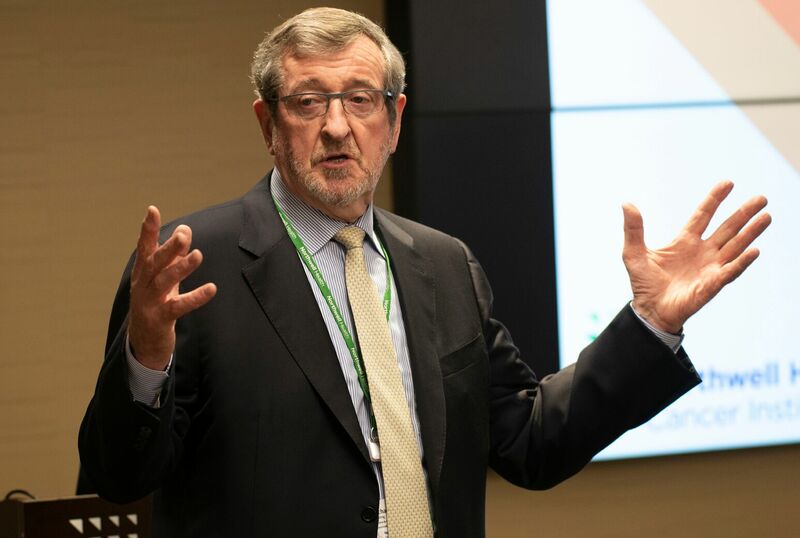 Michael Dowling is president and CEO of Northwell Health and the author of Health Care Reboot: Megatrends Energizing American Medicine, from Forbes Books.